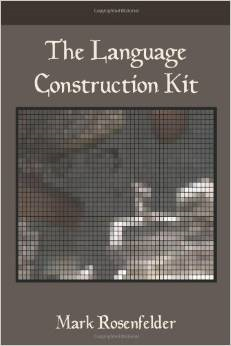 After a few requests, I’ve decided to put out a hardcover version of the Language Construction Kit. I’m also taking the opportunity to create a new edition (1.2): better typography, correction of typos, referring to the SCA2 instead of the SCA, and an update of the text. I’m updating the text now, then there will be the usual process of proofing before it’s available. This will be a different distributor so I don’t know how fast they are, but it should be done in a month or so. One reason I’m announcing this now, before it’s done: if there are errors you’re aware of in edition 1.1, feel free to e-mail me to make sure they’re corrected, preferably sometime in the next few weeks. Xephyr from the ZBB suggested a combined LCK + ALC hardcover. I think that’s a great idea and I’ll probably make that available too, once the LCK alone is done. Edit: Revising is done, and I’ve ordered the proof copy.